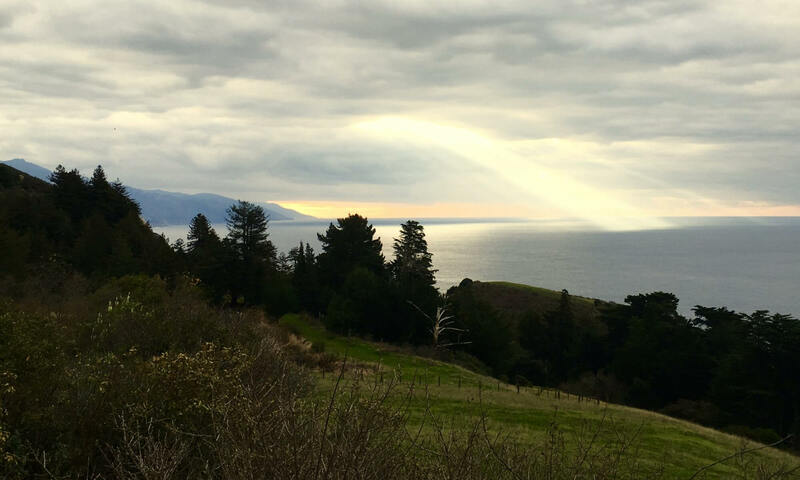 Studio One – Big Sur is the online home of Erin Lee Gafill and Tom Birmingham. Together we produce original artwork and provide inspirational instruction in person and online. Spannocchia has a limited number of rooms with private baths. Our 4-star hotel in Orvieto only has private baths. If you choose “shared bath” you will have a private bath in Orvieto. 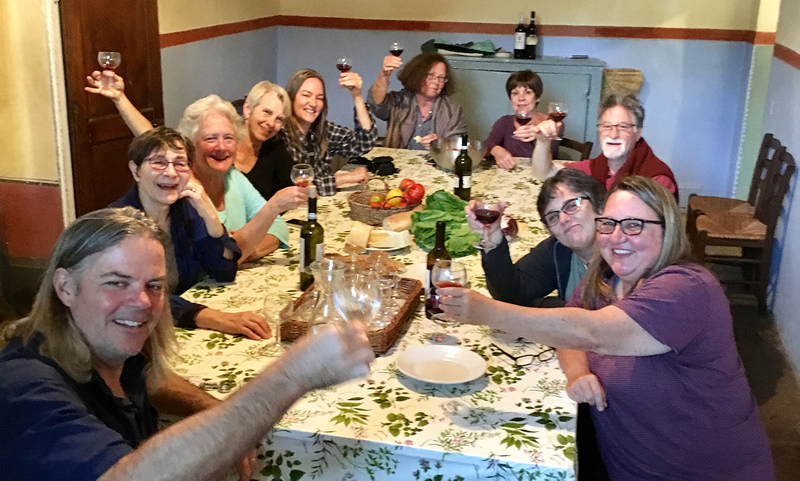 You can join us for 12 nights including Spannocchia and Orvieto, or you can join us for just the 7 nights at Spannocchia. 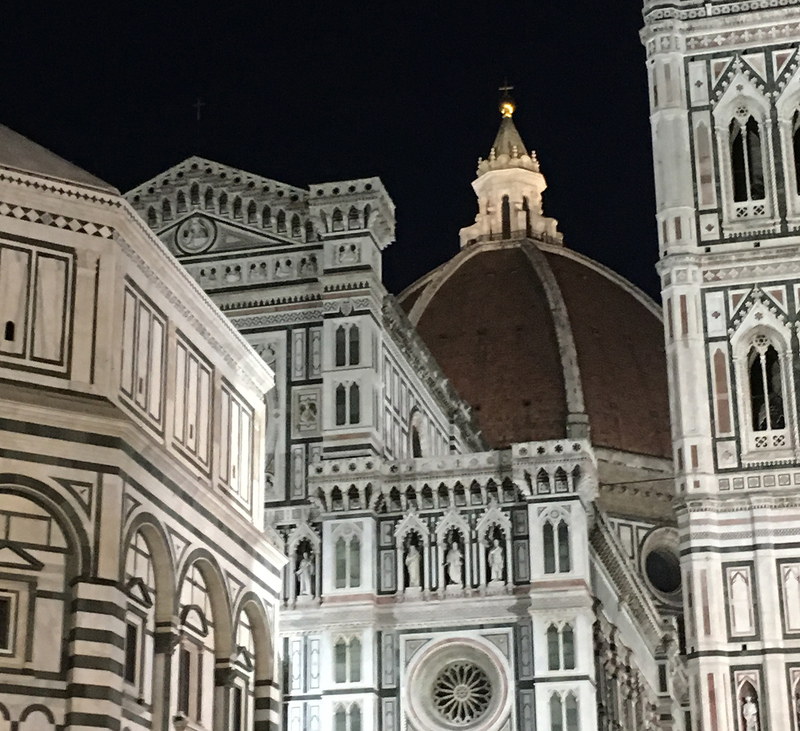 One of the world’s most beautiful cities, Florence is the birth place of the Renaissance, the home to the Medicis, and the workshop of Michelangelo. You can’t help be inspired by the arts, the architecture and the environment. During our days in Florence, we’ll visit the Museo dell’Opera, the Boboli Gardens, and the Pitti Palace. We’ll still have plenty of time to sketch, relax, and have a glass of wine. Our last night we’ll enjoy what I consider the best steak in the world, Bistecca Fiorentina at our favorite restaurant. There is nowhere in the world we’ve found like Spannocchia. This agriturismo retreat center is located 10 miles from Siena. The main building is a 15th century villa attached to a 12th century tower. The property has miles of walking on roads and trails. We’ll have our own studio for daily arts instruction. 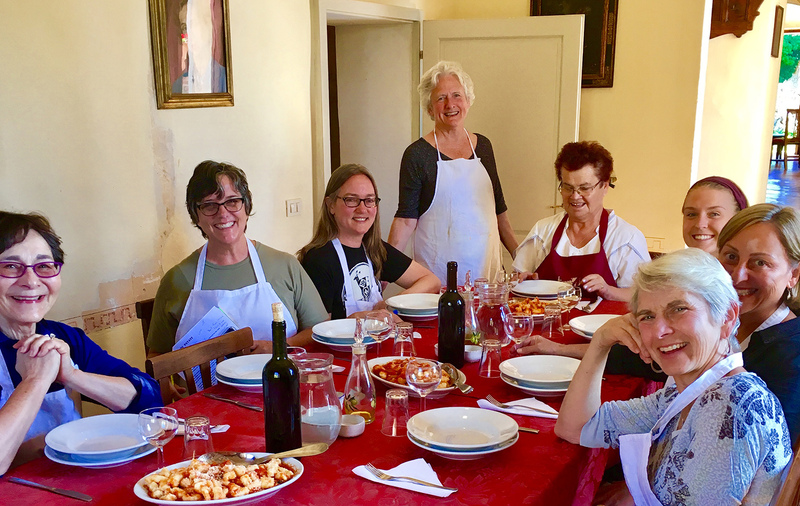 Spannocchia will offer three meals a day, family style all prepared in the simple Tuscan style with locally sourced ingredients. 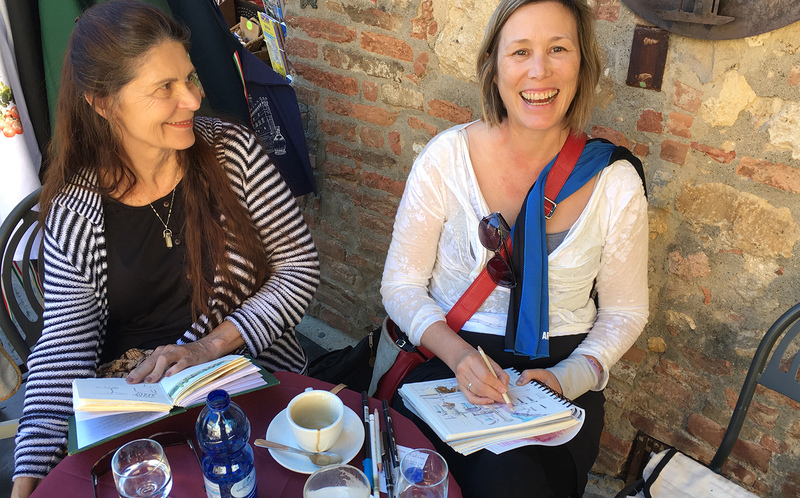 Our days at Spannocchia will start with a morning walk and include free writing time, sketch and watercolor instruction, A Taste of Tuscany; local food and wine pairing, yoga and photography. During our week we’ll take two day trips. We’ll have a day trip to Siena, and, a spa, where we’ll enjoy a hot soak. This Medieval Hill Town is, in our opinion, simply sublime. Cobblestone streets leading through arches, ancient buildings catching the setting sun, atmospheric vistas of the Umbrian valleys far below, and the extraordinary Duomo some say rivals Siena’s. In Orvieto we ate the best meal we’ve ever eaten in Italy, and that’s saying something. We found views that proclaimed “siamo qui!” from the rooftops, with turreted towers silhouetted against gauzy drop-dead gorgeous views, medieval architecture, Renaissance sculpture, artisanal shops carrying on Italy’s legacy of fine hand work, and artwork of the past and the present to inspire. 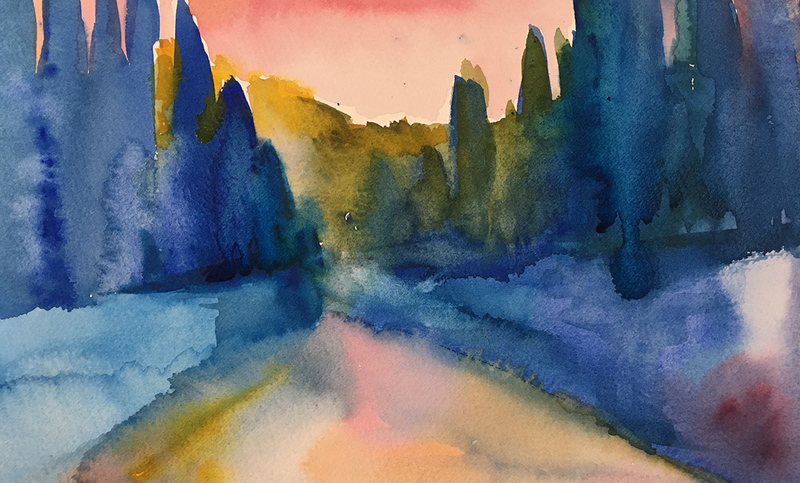 Orvieto is an artist’s paradise, inspiring and yet tranquil, a respite from the hustle bustle of nearby Rome and Florence. Here you feel time drop away, sinking into the deep pleasure of Italian culture, art, tradition, food and wine. Stop in any bar or cafe for a cappuccino or aperitif and savor the moment, taking time to observe the slower pace of life here, sketching the local scene in a place that welcomes its visiting artists with open arms.